The Starboard critique not only slammed Olive Garden for wasting breadsticks, but also said the new logo looks like it was written by a second-grader. For all of its menu updates and attempted image changes over the decades, Olive Garden has never stopped reminding consumers of the free breadsticks they’ll get when they come in for a bite. But one hedge fund says that the O.G. is hurting itself, and its investors, by not paying enough attention to all the bread they put in those baskets. According to the AP, the folks at the Starboard Value hedge fund recently put together a 300-page writeup of the issues facing Olive Garden, including its apparent bread problem. While servers are supposed to bring one breadstick per diner at a table, plus one stick that is apparently to be fought over by those who still crave its stick-like goodness, Starboard says that poorly trained and undisciplined servers are bringing out much more bread than is needed. Dumping all that cooked dough on the table at once results in bread going cold and uneaten, which means breadsticks in the trash and money wasted by the restaurant. 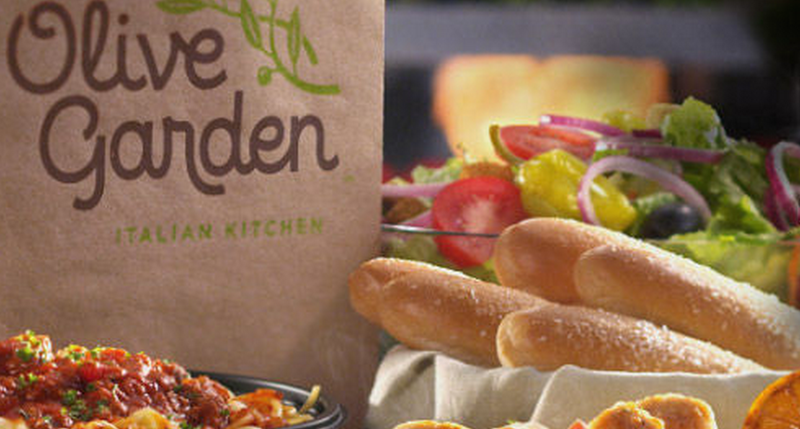 “Darden [Olive Garden’s parent company] management readily admits that after sitting just 7 minutes, the breadsticks deteriorate in quality,” reads the Starboard critique. The hedge fund also claims the quality of the Olive Garden breadsticks has declined, likening the current version to hot dog buns. Olive Garden is also slammed for being too heavy-handed with salad dressing, and that booze sales at the family friendly restaurant chain should account for at least double what they currently do. Starboard isn’t just trying to point out to Darden that there is too much waste at some Olive Garden restaurants, which have seen sagging sales and fewer visitors. The hedge fund is also attempting to wrest control of the Darden board of directors. Other Darden restaurant brands include LongHorn Steakhouse, Capital Grille, and Yard House. In addition to the breadstick beatdown, Starboard claims that Olive Garden’s marketing is outdated and that the company relies too heavily on TV ads. Starboard even went so far as to insult the recently revamped Olive Garden logo, unless you think saying that it looks like “a second-grader’s cursive practice” is a compliment.